Frank Capell is not a household name yet he has created one of the biggest household rumors to date. He nearly single handily created the rumor that will not die. This is the person who officially started the Kennedy murder rumors. But who is Frank Capell? 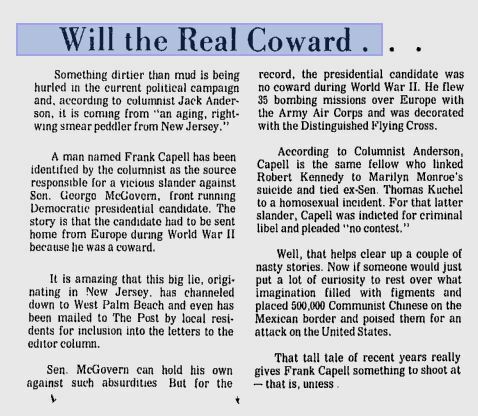 Frank Capell was an extreme right wing Republican who had a well known disdain for the Kennedy family and was a rampant anti-communist. Capell was also someone who played upon the fears of the American people, just like people on the far left or right do today. 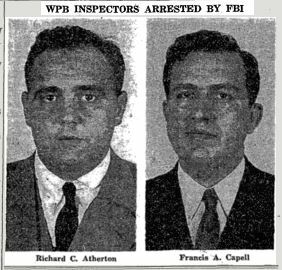 Frank Capell got his start “fighting commies” in 1938 as a confidential investigator and later chief of the Subversive Activities Department for the Sheriff of Westchester County, New York. The purpose of the Subversive Activities Department was to find anything that might threaten the American way of life. It was a precurser to the Subversive Activities Control Board that was started in 1950 and went on to cause the Red Scare. 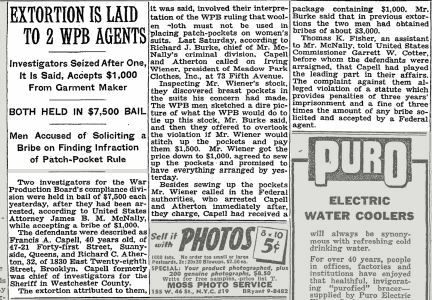 Capell was eventually moved to the Compliance Division of the War Production Board. On Spetember 22, 1943 he was arrested after accepting $1,000 from a clothing manufacturer. In 1945 he was indicted and pled guilty to three counts of conspiring with Richard Atherton to “solicit bribes from government contractors”. He was unable to work in politics again because of these charges so he started “The Herald Of Freedom”. A friend of Capell’s was Jack Clemmons, the first responding officer to Marilyn’s death. Clemmons was connected to the Police and Fire Research Organization. 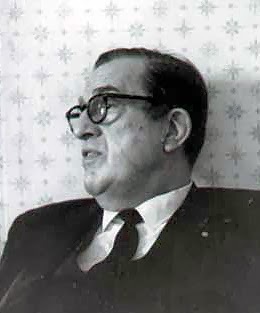 Fi-Po was dedicated to “exposing subversive activities which threaten our American way of life.” Clemmons met with Capell six weeks after Marilyn’s death to investigate Communist connections in Hollywood. This is how Capell was introduced to Maurice Ries who told him Marilyn had been having an affair with Bobby Kennedy, that Bobby changed his mind, Marilyn threatened to go public with the affair, and that the Kennedy family had her killed. Capell and Clemmons later collaborated with John Fergus to attack Senator Thomas H. Kuchel (R-CA) by producing a pamphlet. Why did they do this? He supported the Civil Rights Act of 1964. 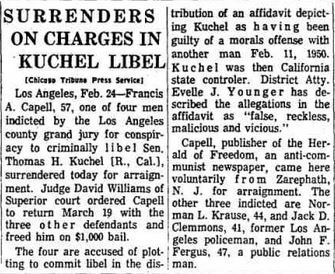 In February of 1965, Capell, Clemmons, and Fegus were indicted for “conspiracy to libel” by obtaining and distrubiting an affidavit that said Kuchel and been arrested for having homosexual relations in the back of a car. This was based on an actual case from Kuchel’s office from 1950, where two of his employees had been arrested for drunk driving. Capell and Clemmons issued a statement saying the press had demonstrated “disregard for our accepted standards of fair play.” Guilty pleas were entered by Capell and Fergus. Clemmons’ charges were dropped on the condition that he resign. 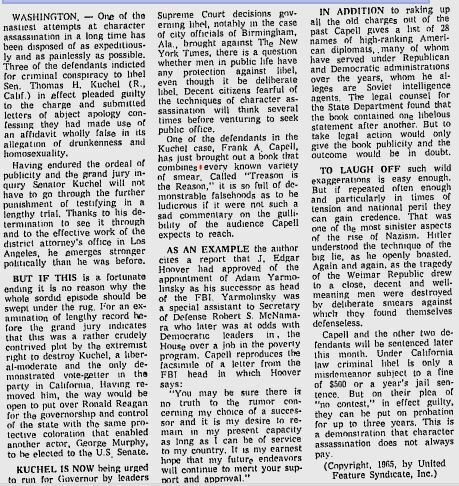 I also wanted to add that I’m a huge Marilyn Monroe fan and have been since childhood, and these claims about the Kennedy’s having her killed are ones I used to actually believe because they were repeated in book after book after book. It’s only in the last few years that I’ve seen these claims being debunked and it is SO important. There has been so much misinformation over the decades regarding her death that the people making these claims cannot be exposed and debunked enough. I don’t know what happened on that tragic night, but I do know we may never get to the bottom of it if the conversation keeps revolving around claims that have no basis in reality. This is such important work, please keep it up! Also, can/will you write about Robert Slatzer as well? He’s quoted in dozens of books and documentaries and could do with a thorough debunking. The guy was a creep and bordered on being a stalker, at the very least he seemed disturbingly obsessed during her life and then basically turned the decades following her death into a side show/train wreck where he put himself front in center – claiming to be a former husband of hers, a confidant, etc, expanded on the lies of Frank Capell and spread truckloads of misinformation. Ugh. I detest Robert Slatzer. I actually have a Slatzer one. I just need to transfer it to this site. I’ll put that up tonight. Robert Slatzer and Frank Capell actually co-wrote Slatzer’s first book. Slatzer would send his book to Capell for “editing” (i.e. ghostwriting) with Slatzer’s publisher, Mike Fowler, receiving a third, Cpaell receiving a third, and Slatzer receiving a third. I am more than happy to go further into that twisted triangle at some point. I used to believe in conspiracies too. I don’t fault anyone who does. I have people try to argue with me on these sometimes and I do not understand why. All I am doing is presenting the verifiable facts. If people choose to ignore facts for slanderous garbage, that’s on them, but don’t attempt to shoot the messenger. Thank you for reading them! I am very happy that I have someone like you who is so dedicated to Marilyn enjoying my writings. That would be so awesome to read!! I don’t understand why people stubbornly hold onto a belief when presented with facts – or things that should at the very least make them question their belief. I think part of the problem is that so many writers and tv producers have (unscrupulously) repeated the conspiracy theories for decades without doing their own research or fact checking, and so people see this enormous wall of books, documentaries, etc, that repeat the same handful of lies and think, “but all of these people say it’s true so it must be!” and stubbornly hold onto it, refusing to believe that they were lied to and mislead – we all were. And a lot of people made a lot of money off of these stories. A new book is coming out that I recently reviewed on my blog and it just made me see red, because it was repeating all of the same lies and nonsense (https://theprettyandthekitsch.wordpress.com/2018/03/25/murder-lies-and-cover-ups-by-david-gardner-review/). It’s what made me decide to write the post of debunking resources that I’m working on, because writers are STILL putting out books filled with BS. I actually sent a note to David Gardner’s publisher after reviewing the book, about how the book needed to be fact checked, etc, but I doubt anything will be done – these books sell, even if they are slanderous and filled with unverifiable nonsense and lies. And I agree – don’t shoot the messanger! You’re just trying to present verifiable facts, like you said, which is more than Robert Slatzer or Jeanne Carmen were ever able to do!